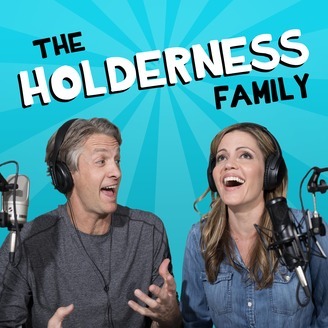 Welcome to the Holderness Family Podcast! On Facebook and YouTube we are known as The Holderness Family. We make those silly songs and skits with our kids, but on this podcast, it's just us... the real us. The non-Christmas-jammies-us, the why-can't-my-socks-be-on-the-kitchen-counter-us (Penn) the why-do-I-have-to-go-outside-and-talk-to-people-us (Kim). On this podcast, we will share the real-life ups and downs of living together, working together, raising kids together, in what we hope is a funny and entertaining way. We will be taking questions that we are likely unqualified to answer (absolutely unqualified to answer) but we are hoping that the show will make all of your beautiful families realize you're not alone. You're not alone. We are all a hot mess... a HolderMess. 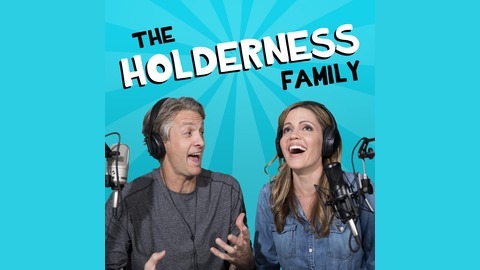 The HolderMess: the Holderness Family Podcast Thank you for subscribing and listening! Hosted by Kim & Penn Holderness Produced by Max Trujillo. What is Intermittent Fasting and How Does it Work?